FELINE 1 "Tantra and Femininity" is happening at the Yogabarn Monday january 20th, book your space ! Start the new year reconnecting with your feminine essence. 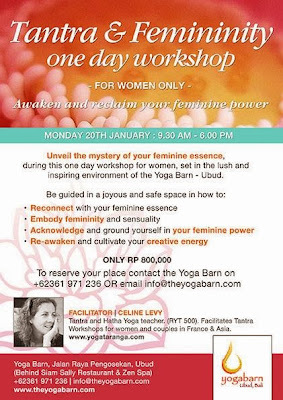 This one day workshop for women has been designed for you to re-awaken and embody your true feminine self. Discover how the secrets of tantra can help you to empower yourself as the alive and sensual woman that you are. Experience the healing power of a women circle as a tool to go deeper into the feminine realm. During the tantra workshops for couples there is always a moment where we separate the men and the women to go deeper in each gender concerns. The women always came out with so many interesting questions that i decided to create a serie of workshops only for them. And it became the focus of my work. 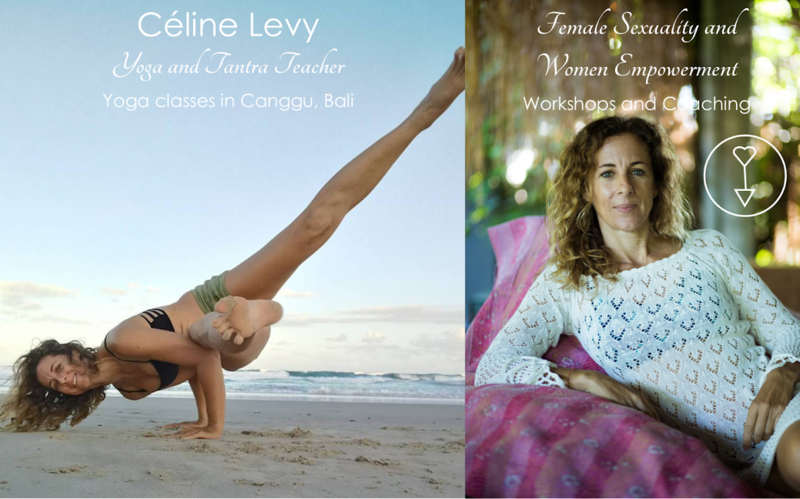 This day will combine interesting lectures, various group exercises, guided meditations.. for you to enjoy and unleash your feminine potential. You don't need any yoga experience for that workshop, just come with an open mind and an open heart. It's about womenhood, about love and self-love...but more than anything it's about you. For more details about the syllabus click on Feline Yoga workshops.